The task of the two-day G20 summit in South Korea, which ends on Friday, is to sustain achievements “made in the work of post-crisis reconstruction of the world economy” and “the spirit of unity and readiness for joint action,” Medvedev told the South Korean media. The summit should put into practice “a line that would represent a balance of interests of all parties,” he said. 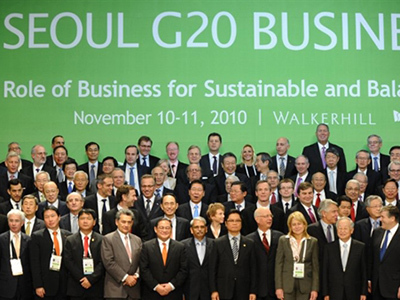 According to the president, the leaders in Seoul will approve a plan of action for the G20 for the next three to five years. “Coordinated action by the G20 to that end would guarantee that there are no crises in the future,” he said, as reported by Interfax news agency. The summit will also approve a development action plan to help poor nations, a source in the Russian delegation told Interfax. On Thursday, the Russian president chaired one of the roundtable sessions at the summit, “Role of Business for Sustainable and Balanced Growth.” The governments of the Group of 20 member states should create favorable environments for small and medium enterprises, he said at the business forum. Such businesses should be offered preferences, and administrative barriers for them must be reduced, Medvedev noted. 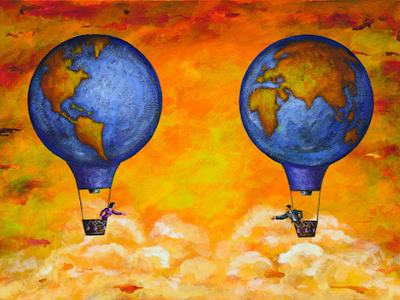 G20 countries should also get small businesses involved in government procurement, he said. “Decisions by the 20 ought to… encourage partnership and direct consultation between government and business,” the president stressed. Medvedev also held separate meetings with the leaders of Britain and Australia on the sidelines of the summit. Moscow and London are moving toward expanding high-level bilateral contacts, he said, following his meeting with British Prime Minister David Cameron on Thursday. 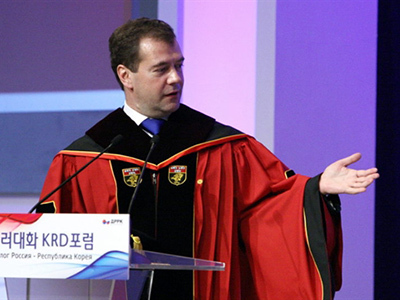 Medvedev also invited Cameron to visit Russia next year. The British leader's trip, the date of which is yet to be set, is expected to contribute to mending ties between the two countries after several years of tension. Also in Seoul, the Russian president and Australian Prime Minister Julia Gillard exchanged documents ratifying a bilateral atomic energy agreement. At the summit, Russia will insist that “the influence of developing countries on the world economy should increase, in particular, through the redistribution of quotas in international financial institutions,” Rossiya 24 TV channel said. 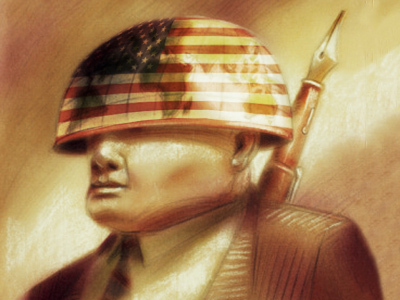 But right now, many doubt the effectiveness of the actions of the club’s members, the channel noted, adding that each country defends its own interests. During the summit, the leaders are expected “to work out an effective mechanism of solving topical problems,” Rossiya 24 said. But if the current approach is in place, the meeting may be limited by “general discussion or, at best, the declaration of intentions,” it added.